Esprit Arena or The Düsseldorf Arena is a multi-purpose sports stadium located in the North Rhine-Westphalian city of Düsseldorf. 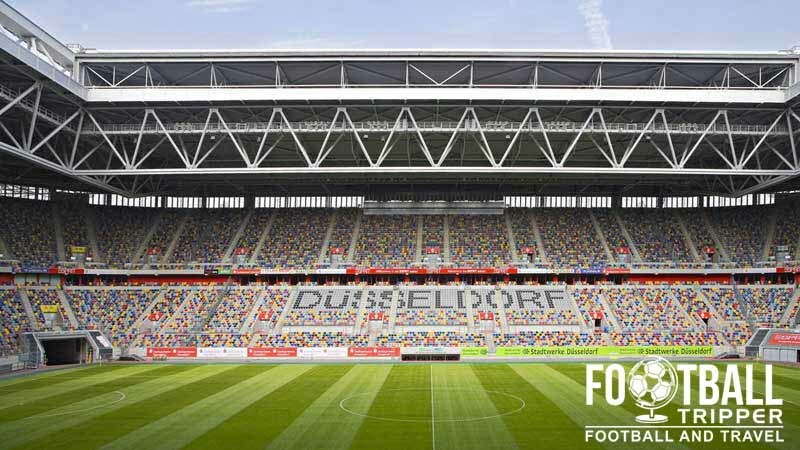 Home to Fortuna Düsseldorf who play in the second tier of German football as of 2014, the ground has a large capacity of 54,600 and recently held the Eurovision Song Contest in May 2011. 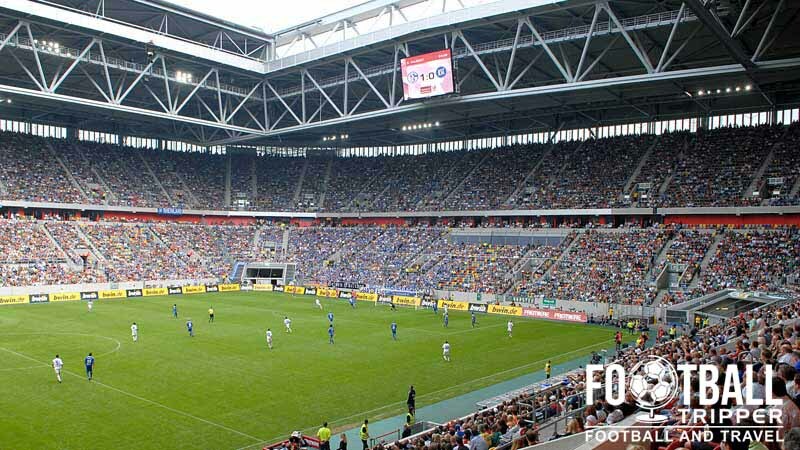 The Düsseldorf Arena was constructed over a two year period between 2002 and 2004 in order to replace Fortuna’s previous home ground, Rheinstadion. Dating as far back as 1925, Rheinstadion was steeped in history having hosted matches of the 1974 World Cup and 1988 Euros, however it featured an problematic athletics track and was slowly becoming dilapidated. Costing a reported €240 million, the arena features a fully retractable roof similar to that of Millennium Stadium and Amsterdam Arena and was originally capable of accommodating 51,500. After some sections of seating were converted to terraces in the Summer of 2010, the capacity increased to 54,600, and for concerts Esprit Arena can welcome up to 66,500 revellers. 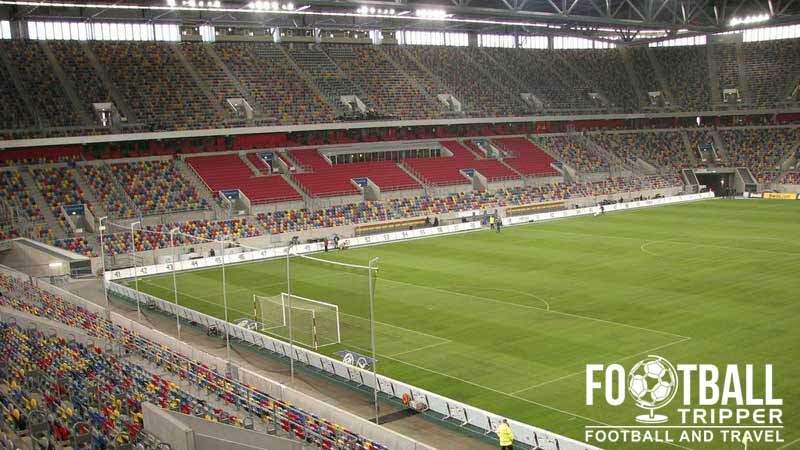 Criticised for its large-cost, and the fact that it was overlooked as a venue for the 2006 World Cup, the City of Düsseldorf have attempted to recoup some of their investment by selling the naming rights. Originally it was known as the LTU Arena after the German airline, however since July 2009 the clothing manufacture Esprit have owned the naming rights. Esprit Arena’s inaugural fixture was held on 10th September 2004 with a limited capacity against 1. FC Union Berlin in order to pass safety inspections. Regarded as a “soft opening”, the first proper match was held on 18th January 2005 against Bayern Munich. This ended in a disappointed 5-1 defeat. 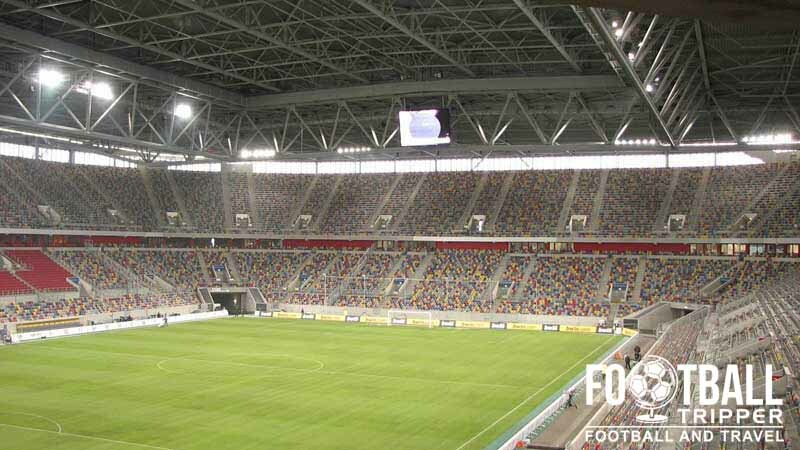 As one of Germany’s most modern stadiums, and combined with the fact that the National Team doesn’t have an official home, Esprit Arena has hosted a handful of international matches since opening. The first of its kind was held on 9th February 2005 between Germany and Argentina, and a sell-out crowd enjoyed an entertaining match which ended 2-2. 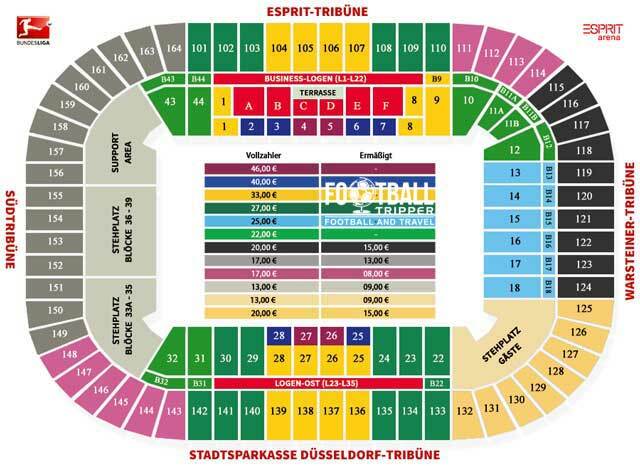 Esprit Arena is comprised of four stands: North, East, South and West.